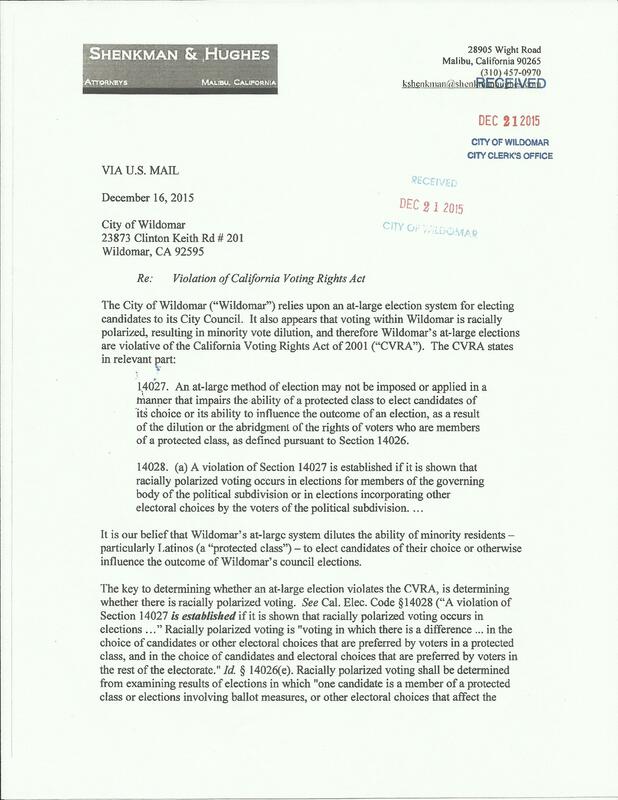 Below is the letter received by the city of wildomar from a law firm pointing out why they feel this city needs to vote “by district”. This letter was finally made available on the city website after 2 council meetings (one regular and one special) more than 5 weeks after it was received. The City of Hemet received a copy of this boiler plate letter which was published in the Press Enterprise several weeks ago. The city of wildomar website was used for this purpose so no one can be accused of doctoring the document. 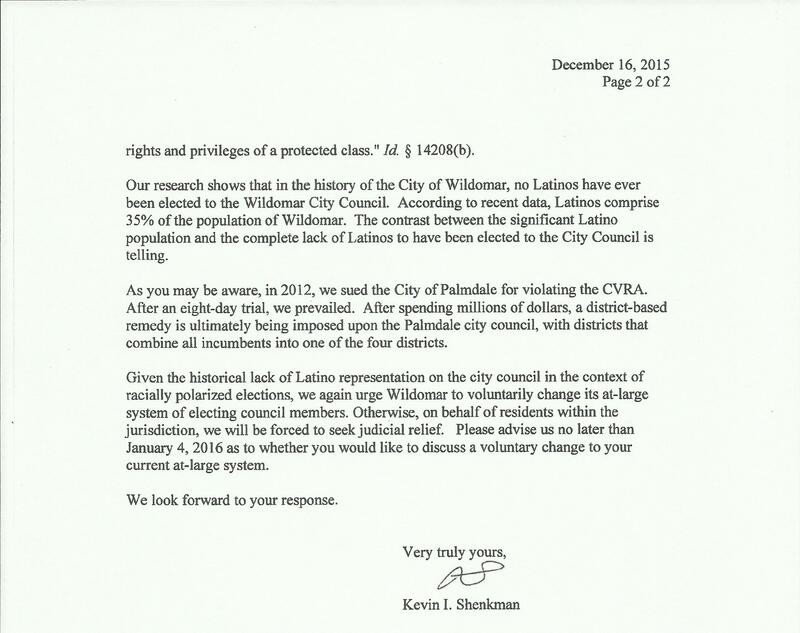 The cities response to this letter will be added here as soon as the city post it. This entry was posted in Daily Ruminations, Future City of Wildomar, Shenaigans and tagged Wildomar City Attorney, Wildomar City Council, Wildomar City Staff on January 29, 2016 by Kenny.